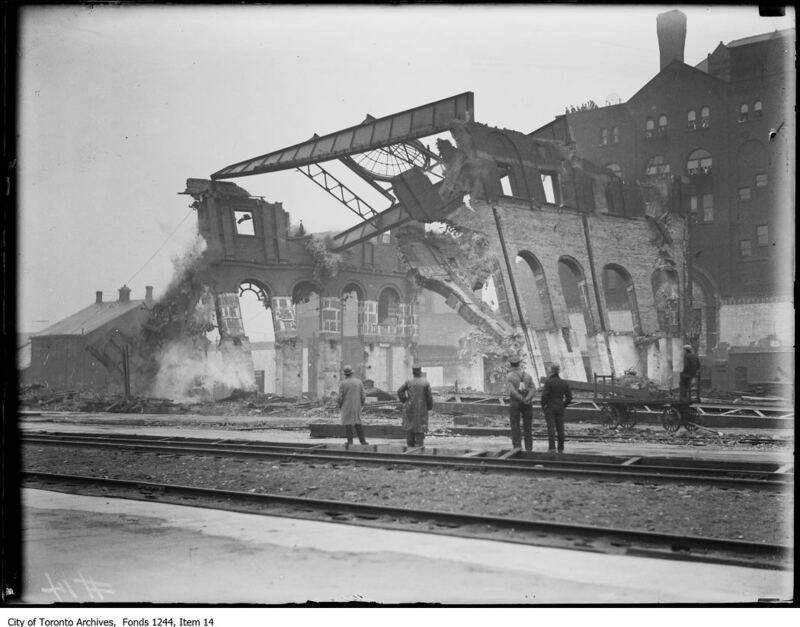 Alright, I’m going to go ahead and say it: I think in 2015 we take the high standard of fire safety for granted in Toronto. In fact, I would go as far as to argue we’ve done so for all the twenty teens. Maybe even the entirety of the 21st century! Yeah, we get annoyed at having to shuffle outside in February during a fire drill or we get scared out of leaving a building because we come across these kinds of signs. But really we don’t experience a regular fear of there being a fire that consumes whole city blocks at a time. 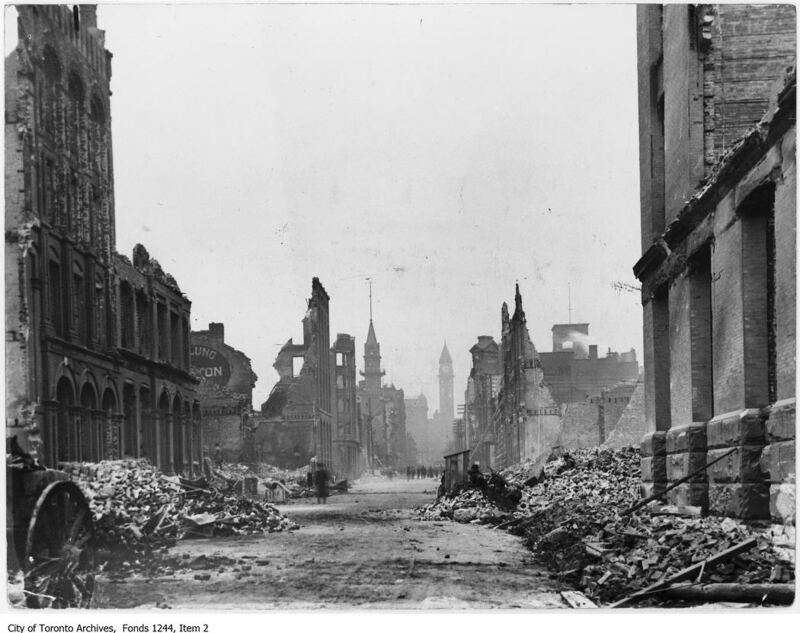 Fire walls, sprinkler systems, fire resistant building materials, expansion of fast communication systems, better wire insulation, safer appliances, improved firefighting techniques, all these factors make the risk of uncontainable fires in Toronto very, very low. 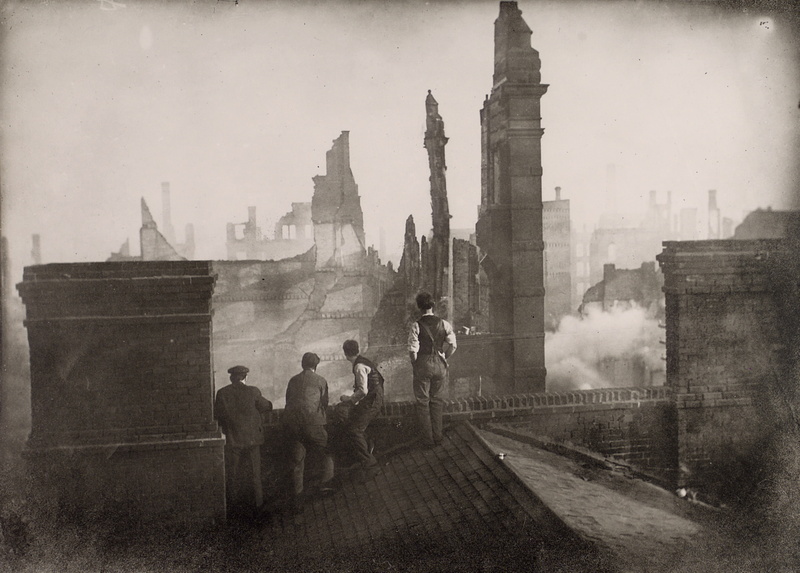 But if you’re anything like me, you don’t daily think “well, thank goodness there was such a drastic swell in standards for fire safety over the past 100 years,” so you don’t ever worry or consider how terrifying an uncontrollable urban fire could be, or what kinds of devastating consequences it would have. Let’s stir up some healthy fear. Let’s take a trip to 1904. Welcome to this fresh new 20th century, a wondrous time of unprecedented progress! This fledgling nation of Canada is expanding rapidly, with this industrial age in full bloom and the government’s attempted forced assimilation of Aboriginal people near its peak of pervasive and terrible. Yes sir, this young country is really beginning to establish an identity, ain’t it? Let’s head now to Toronto and to April 19th, which dawned a cold windy day. 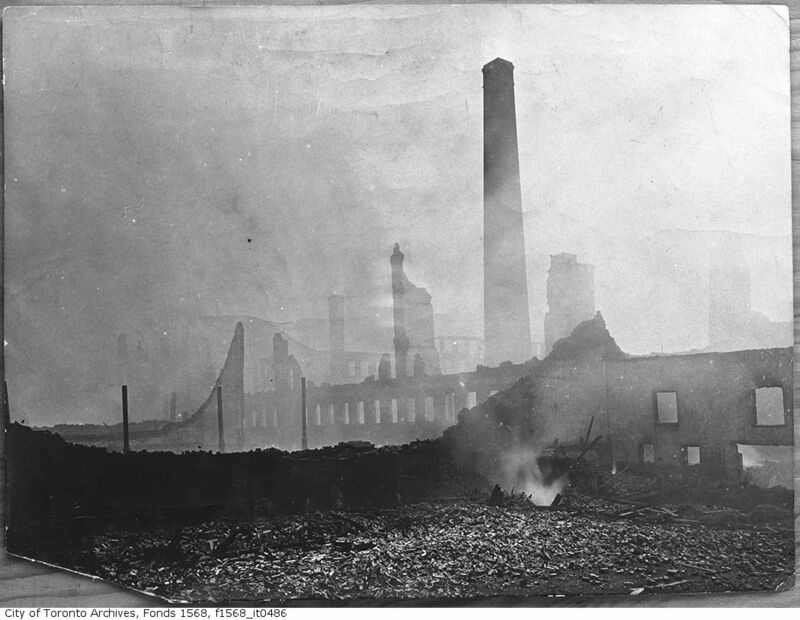 It was a standard work day in Toronto’s industrial district, with workers in factories and warehouses down near the waterfront doing what they do, manufacturing their wares and such. They shuffled home at the end of the day, and the region got predictably quiet as buildings emptied and night fell. At around 8:00 PM in the evening, the dark sky near Wellington Street and Bay Street suddenly lit up. There is some debate over how exactly the fire started, but what is known is that it started in a building owned by E & S Currie, a “neck wear manufacturer” (so…scarves, I guess? Turtlenecks?). The start of the fire was either due to poorly insulated electrical wiring or the pipes from a stove being overheated and left as the workers went home for the day. Regardless, once it started, it started fast and it expanded even faster. The wind didn’t help, and the fire soon hopped across Wellington Street and started to go down Bay. Here’s an animation of the path it took. The Toronto firefighters were called in but they quickly learned they were outmatched by the flames. They asked the mayor to dispatch telegrams to Buffalo, Niagara Falls, Hamilton, London, Peterborough, and other small towns asking for help. Most cities sent as many extra fire fighters and hoses as they could, and special trains were used to bring that aide in extra speedy. I wonder at what point you decide it’s time to get off a roof before it becomes structurally unstable. When you can no longer see through the smoke? Thankfully no one was killed as the fire engulfed warehouse after warehouse after warehouse. The fire chief broke his leg within the first couple hours of fighting the fire, so he had to be benched, and there were a few other injuries I’ll mention later, but for the most part people escaped the blaze unscathed. 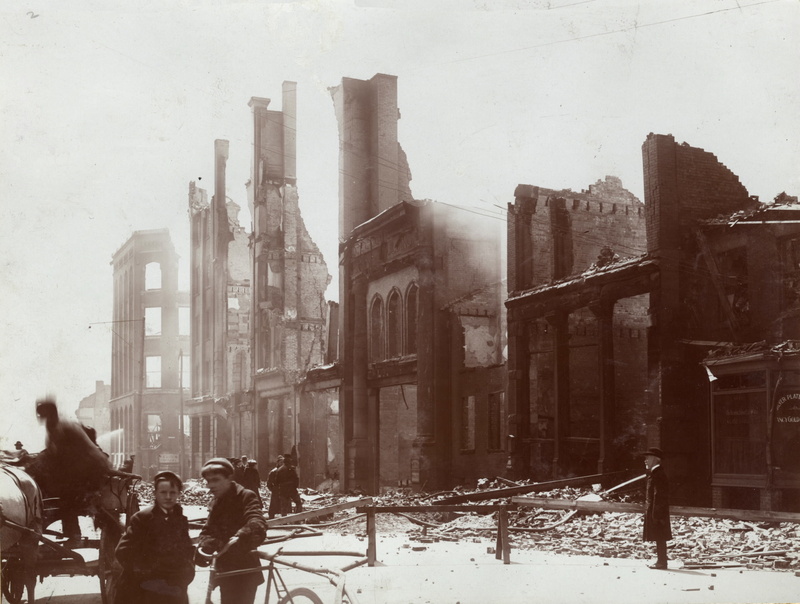 In the end, the fire spanned about 20 acres and destroyed over 100 warehouses, businesses, and factories. The initial insurance estimates had the total loss at around 13 million, which is comparable to around 300 million dollars today. Lots of fascinating (and heroic) stories from the fire fight began to emerge after the fire was finally contained early in the morning on April 20th. One of my favourites was the Queen’s hotel whose guests were evacuated, but whose employees doused blankets in water and put them over every window to cool the fire entryways down. The blankets would dry off in a couple minutes, and the staff would swap them out for new wet blankets. They had a few small fires on the roof of the hotel, but they were able to stop those and stem the general spread Westbound. There was also a group of employees from another building that were on their rooftop trying to quell the nearby flames. Their old steel building stood between a place called The Wool Exchange and the fire. The Wool Exchange is probably the worst kind of warehouse you can have if there’s a giant fire spreading rapidly around you. Actually, there was also a paper company that stopped the fire from going Eastbound, which might be the second worst. This paper place, called Kilgour’s, was one of the only buildings in the area that had a sprinkler system. Of course, after the smoke cleared, public sentiment fluctuated on the event and while some people thought the city would never be the same, others were confident the city would bounce back in no time. Indeed, the very next day, an article in The Globe boldly claimed, “There is no despair. The business community will feel the loss, but it is recognized as only a check in the city’s progress.” After seeing some of those pictures? Respect. All this work took a few days, and by the weekend debris was beginning to be cleared and people were scavenging for souvenirs (apparently they found teapots, clocks, bottles that were all warped and stuff. Y’know, classic fire souvenir stuff). Businessmen were also trying to find their safes in the rubble. By the time these few days had passed, companies were already drawing up new construction plans and planning their next buildings. 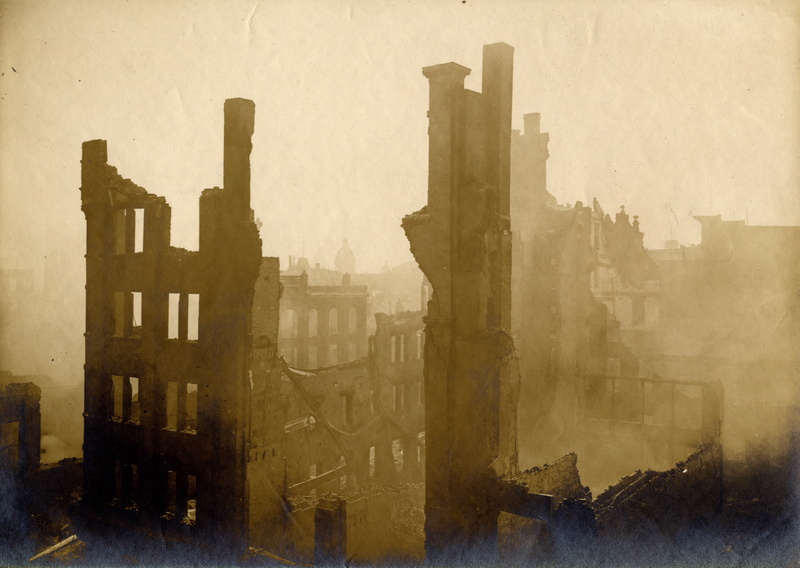 Obviously it took time to reconstruct the area after such a Great fire, but within a year or two there was little evidence there had been such destruction. Remember that picture at Yonge and Front from earlier? This is roughly the same view, but taken in 1907. 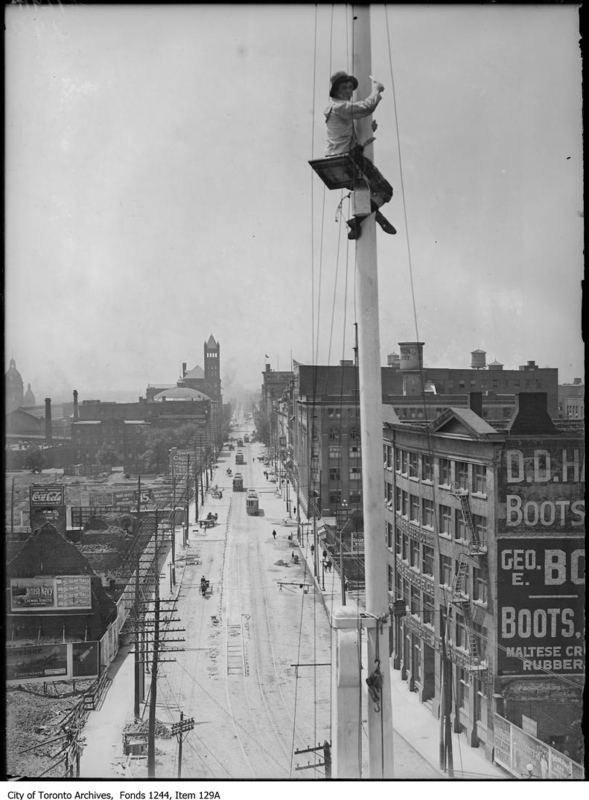 Sidenote, that flagpole person is insane. Or spiderman. 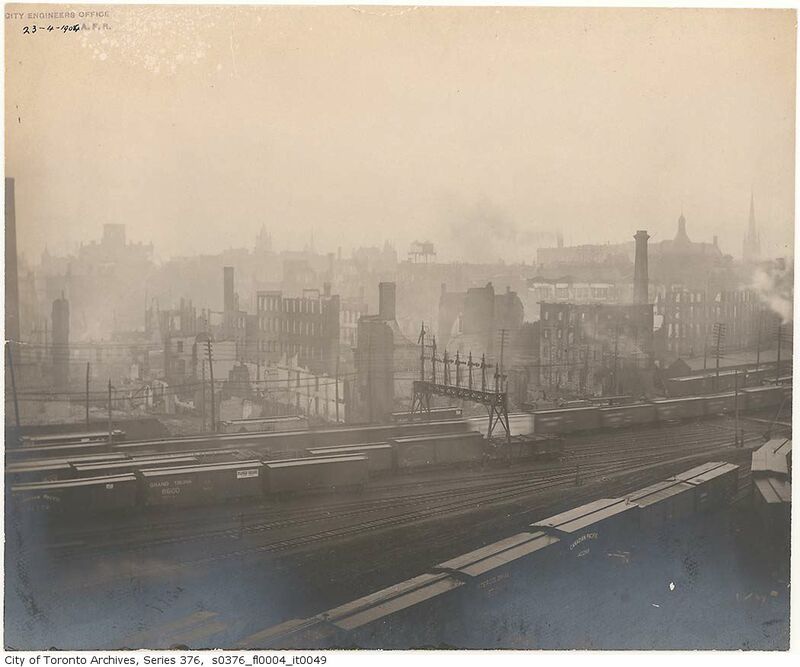 The Great Fire of 1904 was not Toronto’s only huge destructive fire, but the story of 1849 is for another day. Today, go and give a fire door a high five. And jump through some sprinklers.